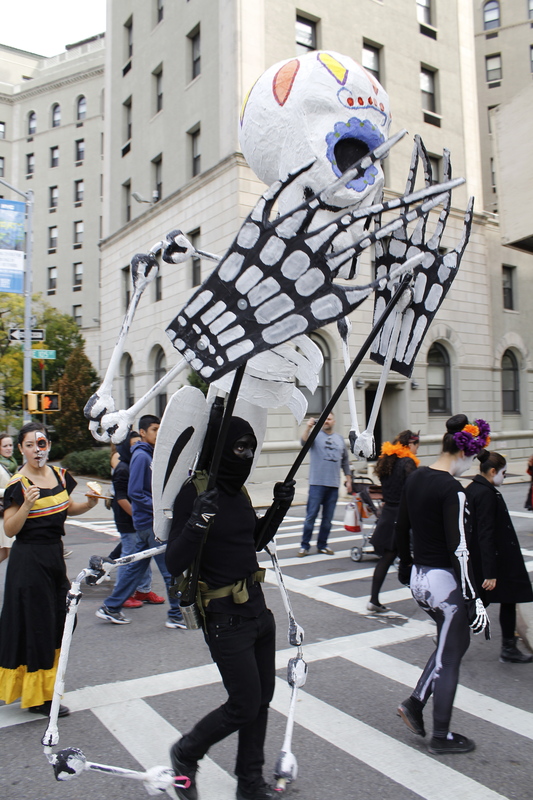 This past Saturday I attended El Museo del Barrio’s SUPER SABADO celebration of Dia de Los Muertos, Day of the Dead. The Mexican tradition has been alive for 3000 years and commemorates loved ones that have passed away. 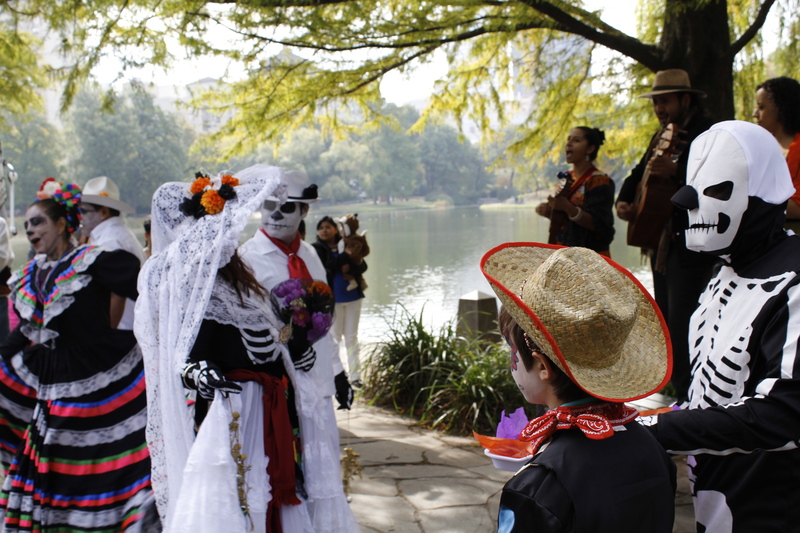 The event began with a musical procession around the Harlem Meer lead by Ballet Folklorico Mexicano de Nueva York. 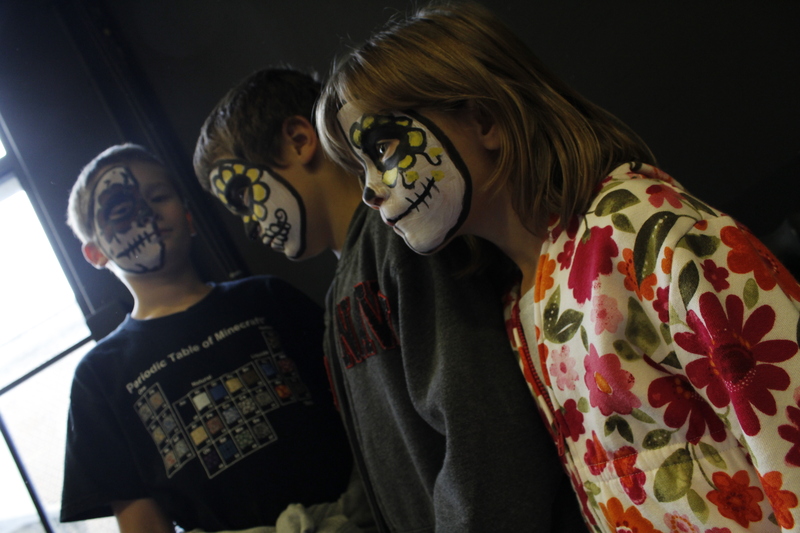 The procession ended at the front steps of the museum where inside families could find face painting, art making, and story telling. The day ended with a performance by Ballet Folklorico Mexicano de Nueva York that featured traditional Aztec and folkloric Mexican dances. 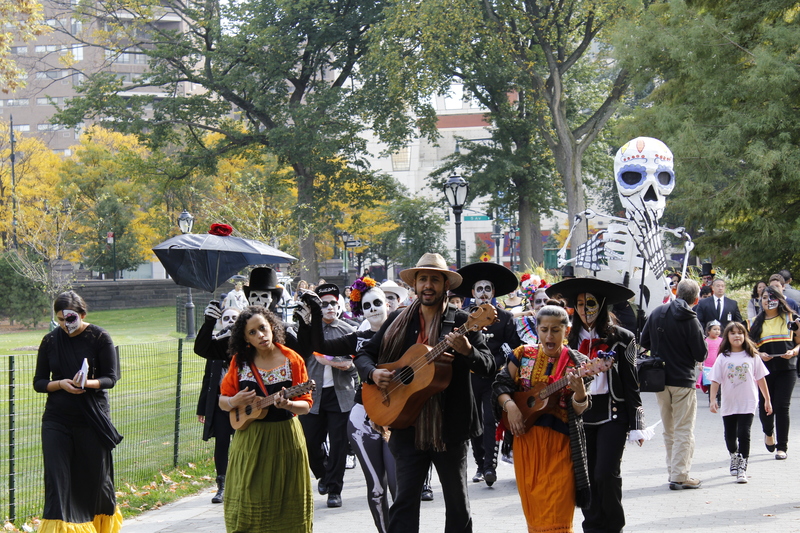 The Calaveras Callejeras procession lead by Ballet Folklorico Mexicano de Nueva York makes its way to the starting point at Central Park’s Dana Discovery Center. Performers from Ballet Folklorico Mexicano de Nueva York put on a show at Central Park’s Dana Discovery Center before starting off the procession around the Harlem Meer that ended at El Museo del Barrio’s doorsteps. A performer from Ballet Folklorico Mexicano de Nueva York crosses 105th Street. The gigantic paper mache skeleton he wore on his back surely stopped traffic. 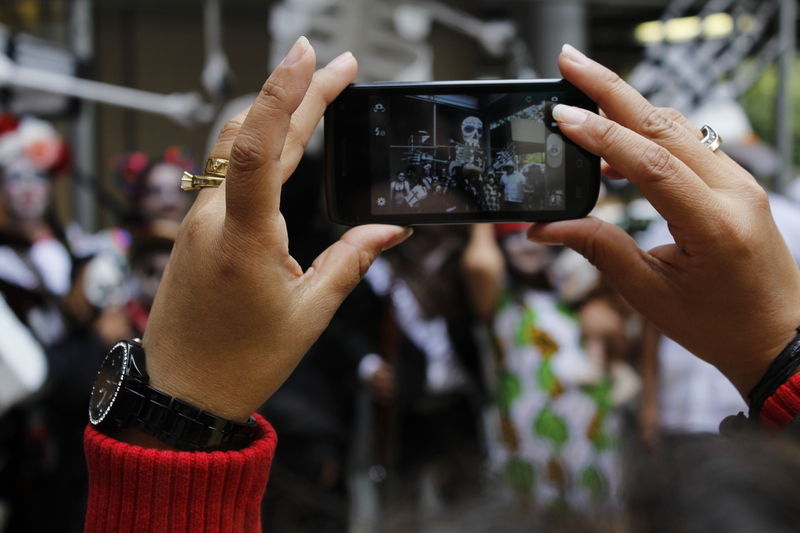 A women uses her cell phone to take advantage of a photo op in the front courtyard of El Museo del Barrio. The performers who lead the procession posed for pictures with attendees of the event. 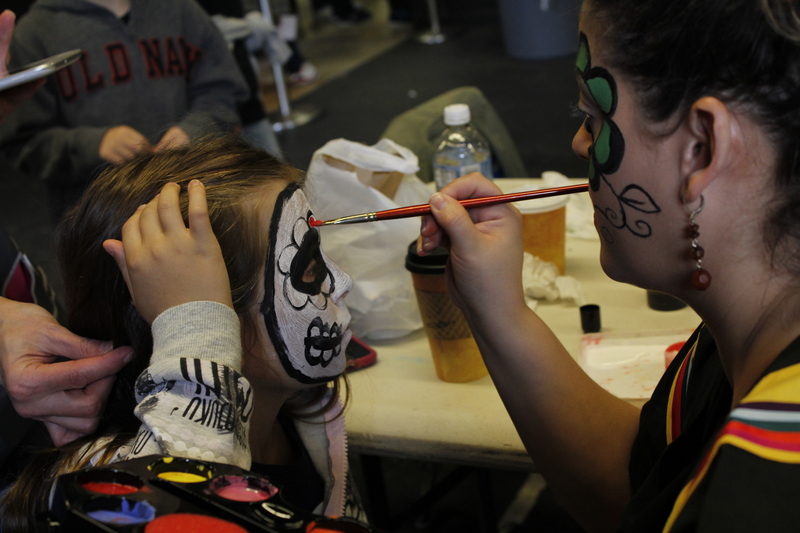 Eight-year-old Emma Wologodzow pulls her hair out of her face so the face painter can finish filling in the calavera design. Evan, 11, Chris, 8, and Julia Wologodzow, 6, are told by their parents to line up so they can take a picture of them with their tablet. 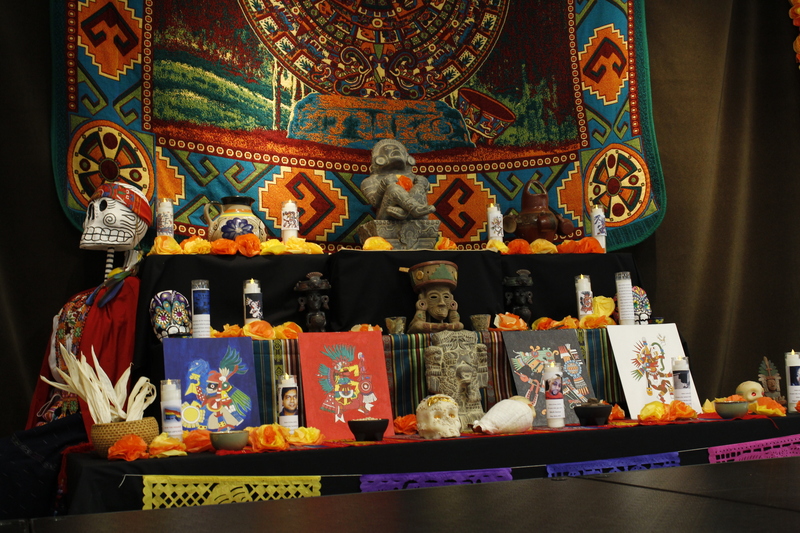 The Altar for Dia de Los Muertos set up in El Cafe of El Museo del Barrio. The altar features representations of the four elements of life: fire, wind, earth, and water. It is dedicated to victims of hate crimes in New York City including members of the LGBT community.